Fawcett Funeral Home | Grey-Bruce Owen Sound, Flesherton | Our Facilites - Fawcett Funeral Cremation Reception Ltd. The Fawcett Funeral Home is located on Highway 10, just south of the main intersection in Flesherton. It is a modern facility with adequate parking, and is wheelchair accessible. We pride ourselves in making our facility as comfortable for you as possible. Our professional staff are always ready and willing to assist family members and visitors with their every need. 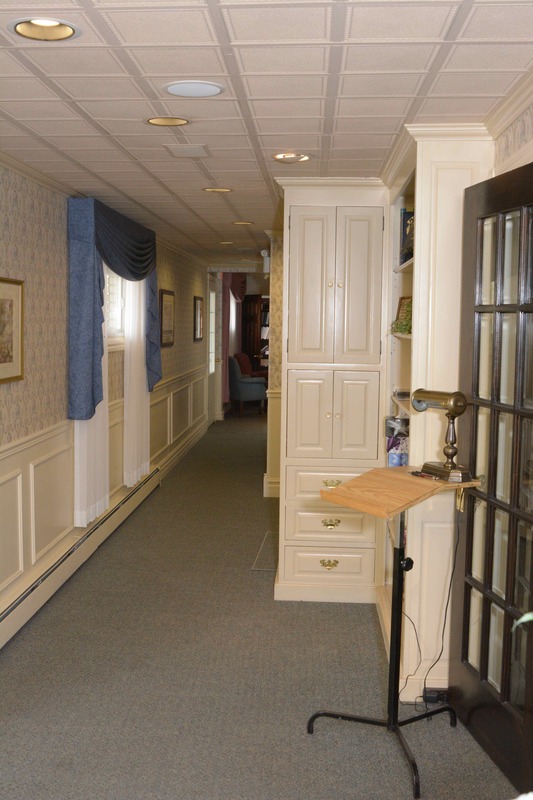 Simply choose from the menu on the left to learn more about the individual features of our facilities, and the reason why the Fawcett Funeral Home is known as leaders in our profession. A funeral is an important opportunity to pay tribute to someone you loved. It is a time for relatives and friends to gather tell stories, to share memories, to acknowledge your loss and support one another. We are open-minded in providing a more personal arrangement to suit your needs and reflect the life of your loved one. We've worked hard to make the surroundings as comforting as possible for you during this difficult time. Our facilities from the outside. Showing our large parking lot, heated carport and wheelchair accessible one level building.